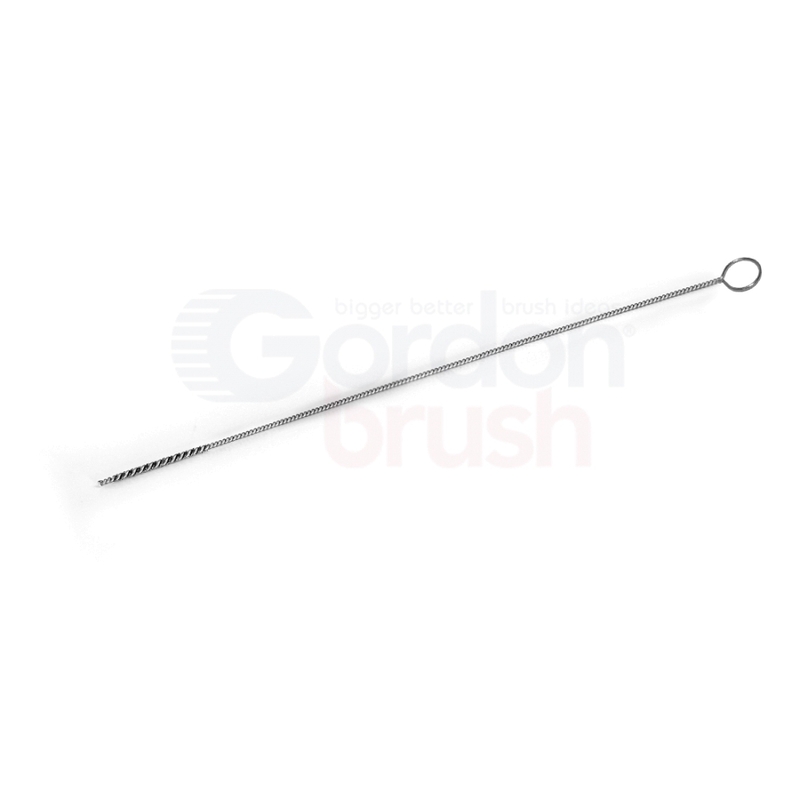 Miniature single-spiral brushes with a stainless steel stem, and choice of either a cut end or ring handle. Each size is available in 3 standard fill materials: stainless steel, brass, or nylon. 0.020" 0.030" 0.035" 0.040" 0.050" 0.052" 0.060" 0.069" 0.070" 0.080" 0.087" 0.090" 0.100" 0.103" 0.110" 0.120" 0.125" 0.130" 0.140" 0.150" 0.160" 0.170" 0.180" 0.190"
1/4" 1/2" 5/8" 3/4" 1"
0.014" 0.015" 0.016" 0.025" 0.026" 0.034" 0.035" 0.043" 0.044" 0.055" 0.070"